Ten months have passed since I came to Ireland and I can’t believe how fast time went by. I am missing my life here more and more with each day as I have only about 2 weeks until I go back to Japan. I would like to look back on each month I have spent in Ireland so far in this last blog. Looking back on the beginning of my study abroad; my arrival was on 18th of March. I met my host family for the first time and officially started my academic course at Maynooth University. Surprisingly, I didn’t get homesick as I’m a pretty open-minded person even. April was the first full month I spent in Ireland. Everything was totally new compared to what I was used to, but I have adapted to my new lifestyle more quickly than I had expected. Luckily, I had a girl of the same age in my host family’s house (actually she was living as an au-pair) so we went out a lot at weekends. The first place that I visited was Bray, which is a beautiful seaside city in Ireland. We went on a hike to Greystones and walked along with some rocky areas and hills for about 3 hours. I must say that this hike was probably the most exhausting one because the weather had suddenly changed to heavy rain on our way. Anyway we enjoyed the amazing view and we could see a perfect big rainbow above the sea after the rain. In May the weather was pretty lovely so I often went out just to relax and take a break from my studies. 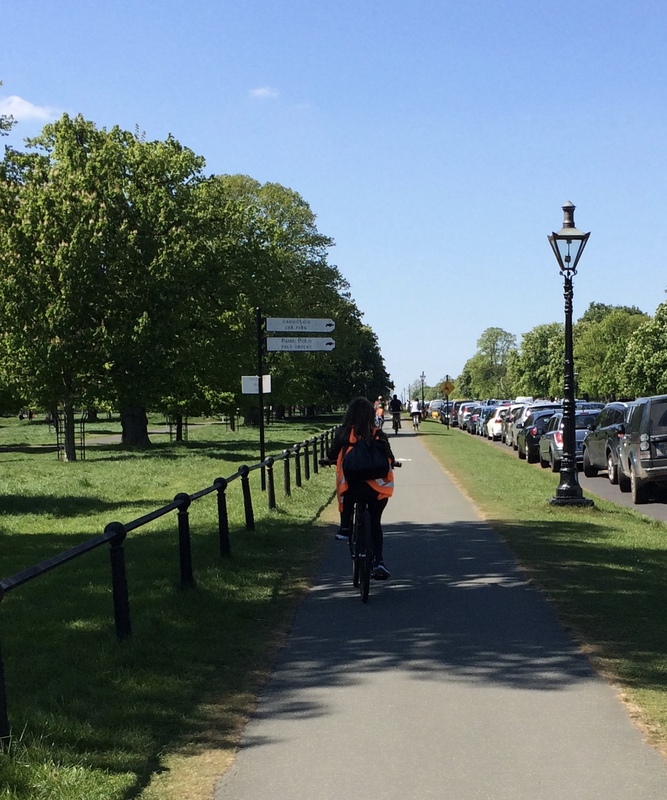 I went to the Phoenix Park, which is the largest park in Ireland, to do cycling with my friend. I think that the Phoenix Park is the best place to just relax as it is blessed with breathtaking nature. All of my English lectures were over so I did a European trip for the first time and travelled to the Netherlands, Belgium and France. This is definitely one good aspect about Ireland that it is very easy to cheap to get to other European destinations. 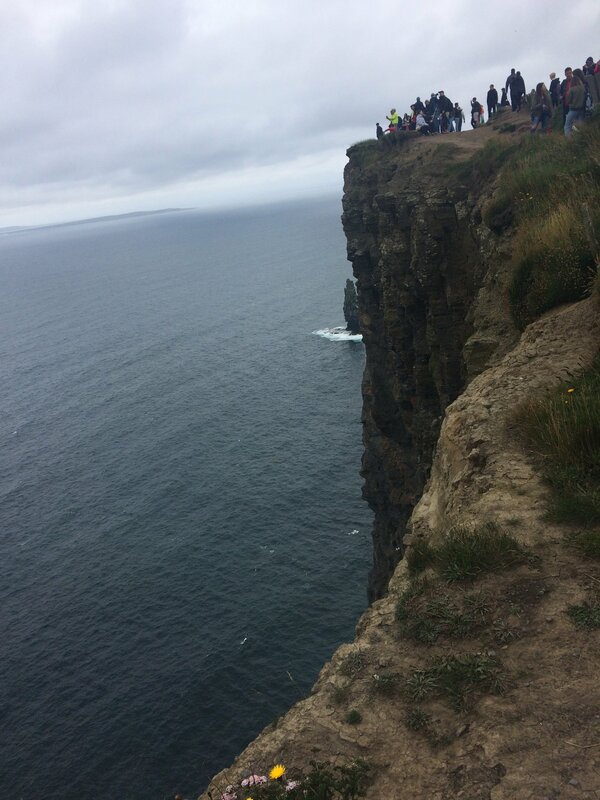 By far the most exciting trip was getting to see the Cliffs of Moher in Galway, which is in the east of Ireland. The Cliffs of Moher is one of Ireland’s well-known tourist spot. On our way to the top of the cliffs, we saw many lovely cows. Unfortunately, the weather was very foggy that day, but the scale of the cliffs was magnificent and the panorama views from the top were breathtaking! We finally had a break from the classes and my parents came to visit Ireland from Japan. I was really happy to take them to my favourite spots in Ireland and tell them about how beautiful Ireland is. We walked around Dublin and enjoyed some traditional food. Of course, we didn’t forget to grab some Guinness in Temple Bar. Besides, my host family invited my parents for dinner so we enjoyed lovely dishes together. I’ll never forget that incredible time I had with my parents in Ireland. It made me think how lucky I am to be here and realised I owe what I am to my parents. One of the most fun things to do when studying abroad is exploring new places with new friends. 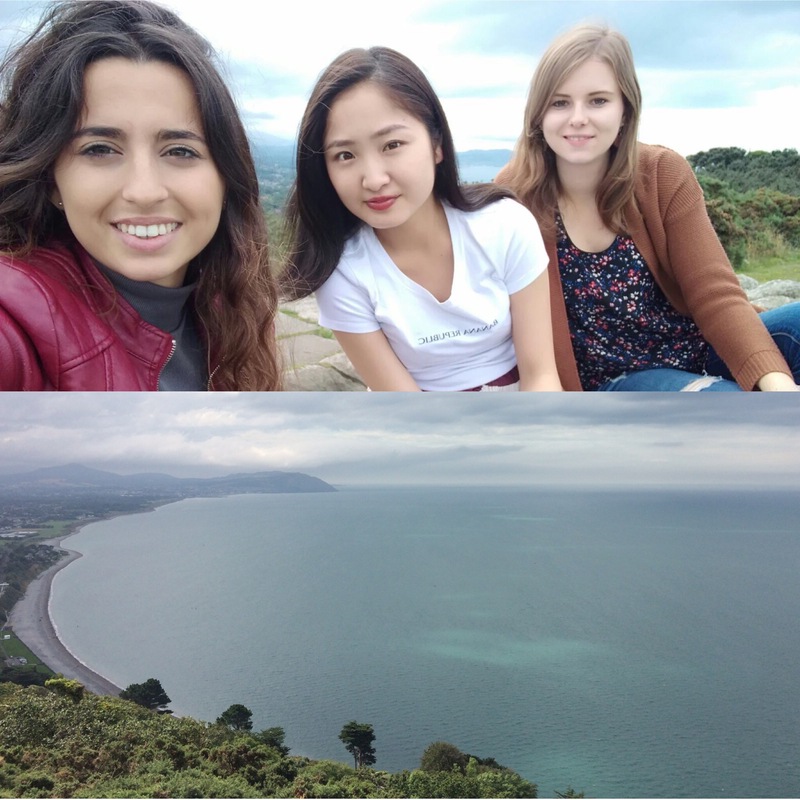 I went to Dalkey and Killiney at the end of the summer with my good friends from Austria and Spain. The view from the top of the Killiney Hill was beautiful. I can say that exploring new sites was a lot of fun with friends from other countries. Then my summer vacation was over and the Fall semester had started. It started to get cold and dark early (outside is already dark by 5 pm in Winter in Ireland). I gradually got used to life at Maynooth University even though the lectures were difficult and complicated for me. 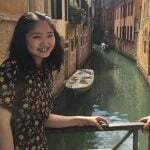 I had a two-week break after the mid-term exams so I flew to Germany and met up with my Japanese friend (check out my previous article about the Christmas holiday). The Christmas atmosphere made me excited, not only in Germany but also in Ireland. The interesting thing I found is that obviously there is a cultural difference between Europe and Japan regarding Christmas. European countries have a tradition of Christmas which is a family-centred idea while Japan lacks this idea. I like Christmas in Europe so much. Also, I went to a New Year’s festival which is took in place on the Liffey river in Dublin on New Year’s Eve. I was so excited because I haven’t spent New Year’s Eve in other countries except for Japan before. Looking back on the last 10 months, I can say that it has been filled with many memorable experiences and enormous growth. I would like to say thank you to my parents for giving me the chance to study abroad in Ireland. And I’m glad to have the opportunity to talk about some of my experiences in Ireland and to help international students yearning to know more about Ireland. I’d say that Ireland is a great choice for study abroad.